December 9, 2013 - The United States Supreme Court today heard oral arguments in the case of Air Wisconsin Airlines Corporation vs. William L. Hoeper, a former pilot with the airline. The court will determine whether Wisconsin Airlines can be held liable when it reported to Transportation Security Administration (TSA) that William’s had boarded a flight as a passenger, was mentally unstable and potentially armed with a gun. Congress enacted the Aviation and Transportation Security Act (ATSA) as a result of the September 11, 2001 attack on America. Within the law it requires the airlines and its employees to report to TSA any and all potential security threats to the Nation's air transportation system. To encourage such reports, the ATSA provides immunity from lawsuits, shielding airlines and their employees from all liability, including liability for state-law defamation. The only exception to this immunity is for reports made with actual knowledge that the disclosure was false, inaccurate, or misleading or with reckless disregard as to the truth. In 2004, William’s who was a 20-year commercial pilot and a federal flight deck officer (FFDO), allowed to carry a handgun onboard his flights had been piloting an outdated aircraft for Wisconsin Airlines. The company was in the process of updating its fleet and retraining their pilots for a larger aircraft. This required pilots to be retrained and certified. During the certification William’s failed three times in a flight simulator and on his fourth and final attempt William’s and his flight instructor got into a disagreement. Williams walked out of the training and decide to go back home to Denver. Unbeknownst to Williams the carrier contacted TSA to report the carrier was "concerned about the whereabouts of Hoeper's firearm, and his mental stability." As a result William’s was detained by TSA at Dulles Airport. William’s filed a lawsuit, in his suit he stated the carrier was not protected under immunity because the carrier provided false information about him when they called TSA in 2004. At trial, the carrier denied having told TSA anything about Hoeper's mental stability. The jury awarded William’s $1.4 million. 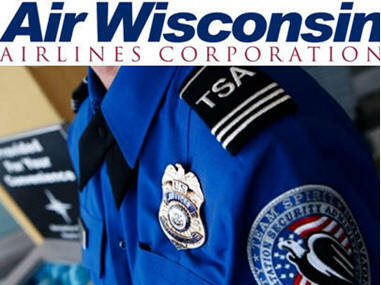 Wisconsin Airlines appealed the case before the Colorado’s Supreme Court but the court upheld the lower courts ruling.